The fouta towel Chevron design water Green, is a fouta of mechanized manufacturing, in reliefs of Chevron design, delicate and refined. 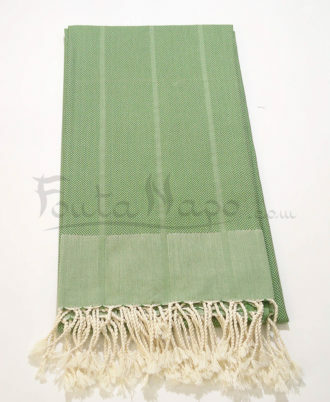 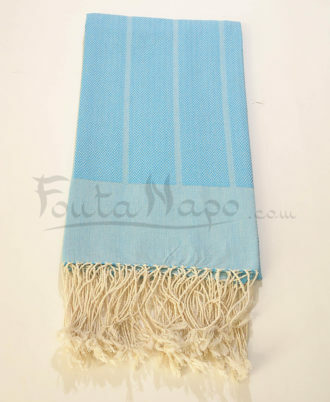 The fouta is woven by men on a loom and the fringes are hand knotted by women. 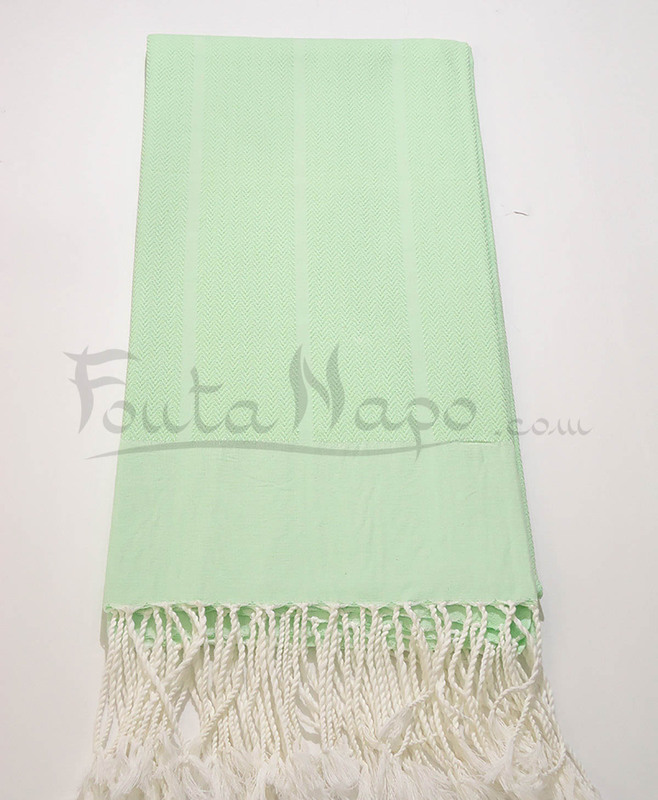 This amazing fouta finds its flexibility from the first wash.